From festive Christmas markets to indoor entertainment of every kind, there are plenty of things to do during the winter holidays. 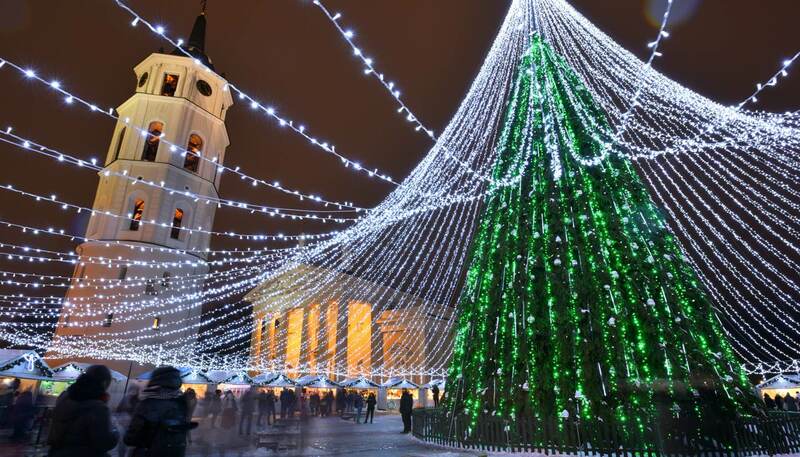 Winter tourism has become increasingly popular, and many cities have responded by using the Christmas month to put on all manner of events and activities. Nowadays visiting a city in winter is a way to see both locals and tourists alike experiencing the best events that the country has to offer. So wrap up warm, because we’re going to go through a few of the best ones. 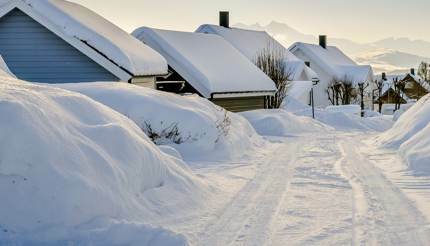 Located above the Arctic Circle, Tromsø is one of the best places in the world to see the Northern Lights. Though it is internationally famous as a viewing spot for the lights, sightings are not always guaranteed, so it’s just as well that the city offers quite a few other outdoor experiences, all under the soft glow of a perpetual twilight. Dogsledding is a great way to see the surrounding countryside, spotting wildlife like reindeer and elk along the way. The indigenous Sami people also offer reindeer sledding, which is more sedate but offers insights into their traditional way of life. Don’t miss the opportunity to go on a whale safari, which departs from Sommarøy Island, two hours from Tromsø; keep an eye out for humpback, killer and sperm whales. Indoor activities include the world’s northernmost aquarium, Polaria, and one of the world’s northernmost breweries, Mack. The temperature may rarely rise above freezing in the chilling winter of Lithuania, but Vilnius’ 13th century Old Town – a UNESCO World Heritage Site – becomes magical in the closing months of the year with a dusting of snow transforming the cobbled streets into something out of a fairy tale. Take a free walking tour and discover the city’s main attractions while you learn about its history and culture. Afterwards, visit the new MO Modern Art Museum, then warm up in a cosy pub or restaurant – Lithuanian food is fantastically hearty and there is a thriving nightlife scene throughout the year. 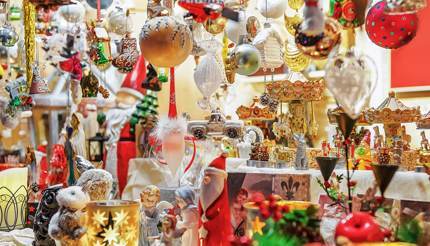 If you visit between late November and the end of December, the Christmas Market is quite a sight with stalls set around a giant Christmas tree that’s festooned with thousands of lights. Vilnius food & drink guide: 10 things to eat & drink in Vilnius, Lithuania. Winter in London is all about the beautiful winter nights. Shorter days combined with spectacular architecture allow for liberal use of coloured lights and lasers, with some light exhibits even featuring viewer interaction. Lumiere London is the city’s biggest light show, featuring around 40 artists all lighting up the night sky in as creative a way as they can in January. 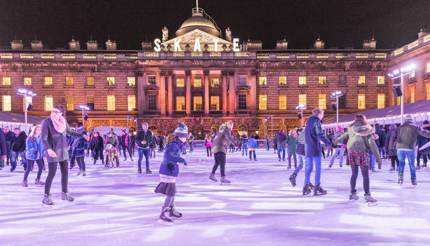 Winter is also a chance for London’s many ice skating rinks to open up, and there are plenty to choose from. 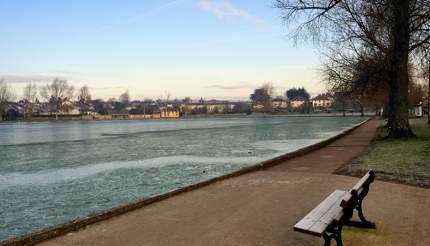 Whether you fancy gliding past ravens in the Tower of London, or doing a few runs around the city’s largest open-air ice rink in Hyde Park, you won’t be short of spectacular locations. If the cold gets to you, then you can always warm up with a steaming mug of hot chocolate, which you can get from nearly any café in the city. 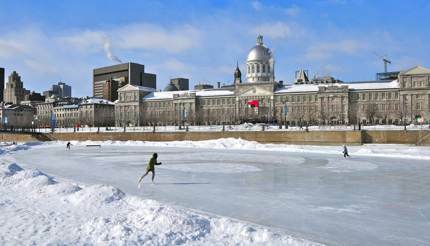 Heavy snow might blanket Montreal in the winter, but the frigid temperatures are nowhere near enough to send it into hibernation; instead, it becomes a veritable winter wonderland – and after Christmas, too, when some cheer is definitely needed. Igloofest is an electronic dance festival that takes place on Thursdays, Fridays and Saturdays from 17 January to 2 February next year – the dancefloor is outdoors, but you’ll soon warm up. Another top event is Montréal en Lumière, from 21 February – 3 March. It’s one of the largest winter festivals in the world and includes food, music and art, culminating in Nuit Blanche, an all-night extravaganza with over 200 events. 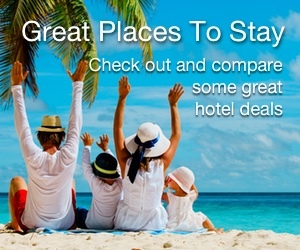 It’s mostly free, and there’s even a free shuttle service to get you around. Ireland’s second city is often overlooked in favour of Dublin, but it certainly has the assets to be up there with the best: nestled among gorgeous neoclassical architecture are world-class museums, galleries and churches, as well as a flourishing local food and craft brewery scene. As winters go it’s also quite mild: temperatures don’t dip below 5°C (40°F), so you won’t need to count your layers before going out. Visit in November and catch Cork Film Festival: while it’s intended as a showcase for Irish films, they have been known to accommodate international features, documentaries and shorts in the past. In December, the city has plenty of festive events, from a Ferris wheel and food market on the Grand Parade to a Christmas concert at Cork Opera House. Foodies should take a tour of the best places in the city to eat with Fab Food Trails, which takes you through visits and tastings at the best places in the city. A whiskey and food trail is also available.